Global '68, a program of conferences organzied by Françoise Vergès, Marcus Rediker, Oscar Guardiola-Rivera, and Sylvie Robic, took place in Paris May 2–4 and London May 5–6. Panels examined the political movements and historical developments that made 1968 a key year in countries around the world. 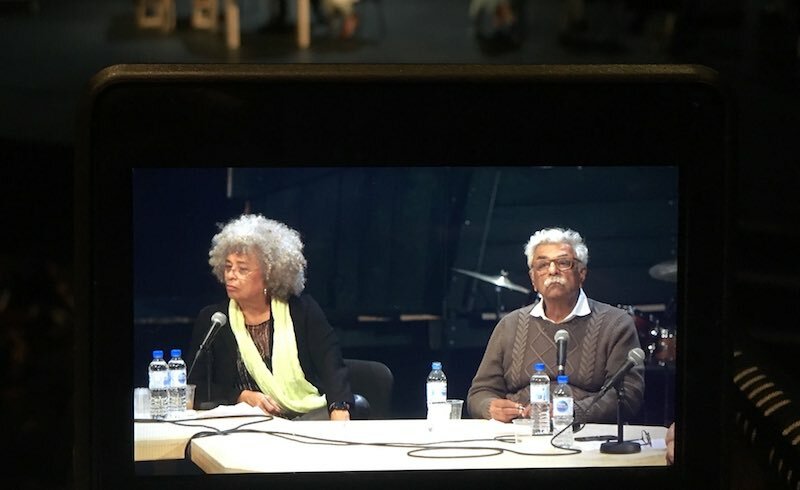 On May 3 at the University of Nanterre, Tariq Ali joined Angela Davis in a conversation moderated by Vergès and Rediker, on internationalist solidarity and alliances. Listen below to a full recording of their discussion, courtesy of R22 Tout-Monde.